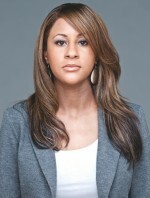 At 30 Angela Benton has already landed on Ebony magazine’s “Power 150″ list. Since working in marketing and digital strategy, Benton has become an expert in new media. Paving the way for other tech-savvy African Americans, Benton is the CEO of Black Web Media LLC — which publishes several websites, including Black Web 2.0 and most recently founded NewMe Accelerator, which supports minority-led start-ups.